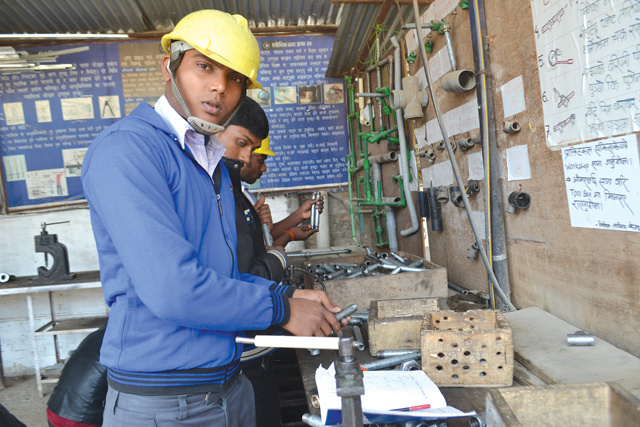 SKILL SELLS: Prakash Tharu, 22, recently completed his plumbing course and is set to fly to Qatar next week. 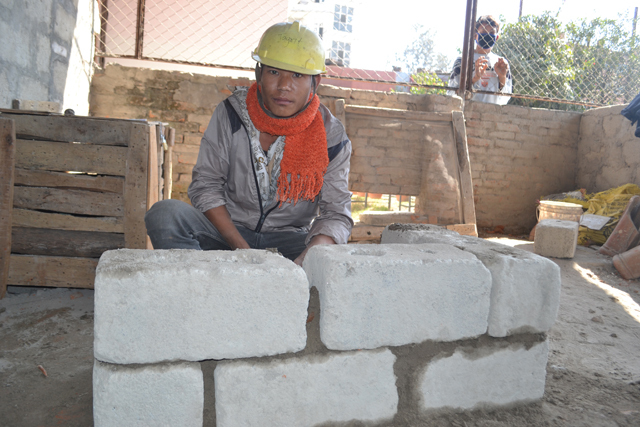 He can now earn $108 more than what he would have as an unskilled construction worker. A few days after celebrating Maghi festival last month, Prakash Tharu, 22, packed his bag and boarded a bus to Kathmandu. Like most young men from his village of Nawalparasi district in the plains, he was off to the Gulf as an unskilled construction worker. But a relative persuaded him to join a plumbing course before leaving. After failing his high school exam three years ago, he had been working as a plumber. 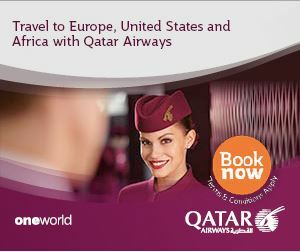 His course is now over, and he is set to fly to Qatar next week to work as a plumber. He says he can now earn $108 more than what he would have earned as a construction worker. 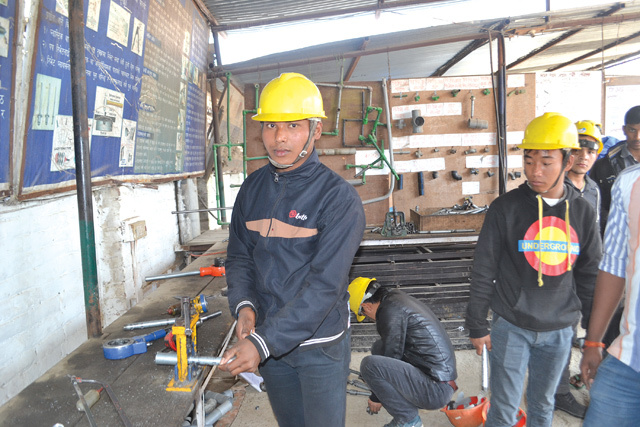 Like Tharu, an increasing number of Nepalis are now learning vocational skills before migrating to the Gulf and Malaysia. Three men learning vocational skills before migrating under the Swiss-funded Safe Migration (SaMi) project. When he worked as a mechanical engineer in Qatar in 2004, Pradhan witnessed the suffering and exploitation of Nepali migrant workers. “They were forced to do dirty, dangerous and demeaning work – not because they were Nepalis, but because they did not have the skills to take up better jobs,” he recalls. Pradhan then remodelled his classes to attract students with cheaper and shorter courses. 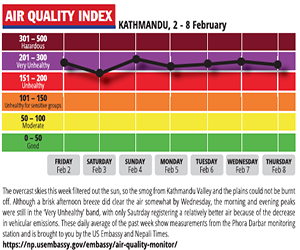 "Still a large number of Nepalis leave to work without any skills,” he says. A man learns masonry skills before migrating under the Swiss-funded Safe Migration (SaMi) project. A study by the Council for Technical Education and Vocational Training (CTEVT) in 2014 showed that more than half the Nepali migrants who went overseas were unskilled labourers. Only 16 per cent of them were skilled, and 32 per cent were semi-skilled. In 2004, Ganesh Gurung, an expert on labour migration, conducted a study which showed that 69 per cent of Nepali migrant workers were unskilled, 27 per cent were semi-skilled, and only four per cent were skilled. In 2014, Nepal received more than Rs 560 billion (29 per cent of the GDP) from remittances. Sharma says Nepal could double its remittance earnings by sending skilled workers abroad. “A skilled worker earns at least 40 per cent more than an unskilled labourer,” he says. Experts say Nepal cannot stop the outmigration of youth for at least another 20 years, and that the best option would be to train workers before sending them abroad. The government has taken some donor-funded initiatives to reverse the pattern of migration. This year, some 10,000 youth are learning vocational skills before migrating under a Swiss-funded project, but this represents a small portion of the 600,000 young men who migrated for work last year. 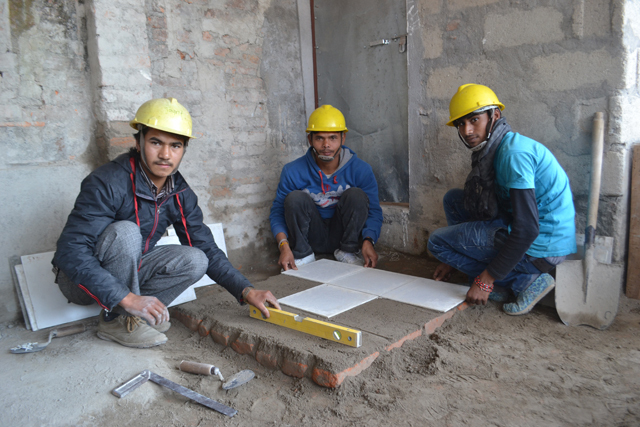 Twenty-year-old Bishnu Kumar Thakur from Mahottari is one of the 10,000 youths learning vocational skills before migrating under the Swiss-funded Safe Migration (SaMi) project. Bishnu Kumar Thakur, a 20-year-old from Mahottari, is one of them. His father was a self-trained carpenter but went to the Gulf as an unskilled worker. “From my father’s experience, I know what happens when you migrate without skills,” he says. Former Labour Minister Tek Bahadur Gurung says the reason for sending skilled workers is not just for getting more remittance but also to encourage entrepreneurship among Nepali youth. Interview with the new Japanese ambassador to Nepal Kunio Takahashi.